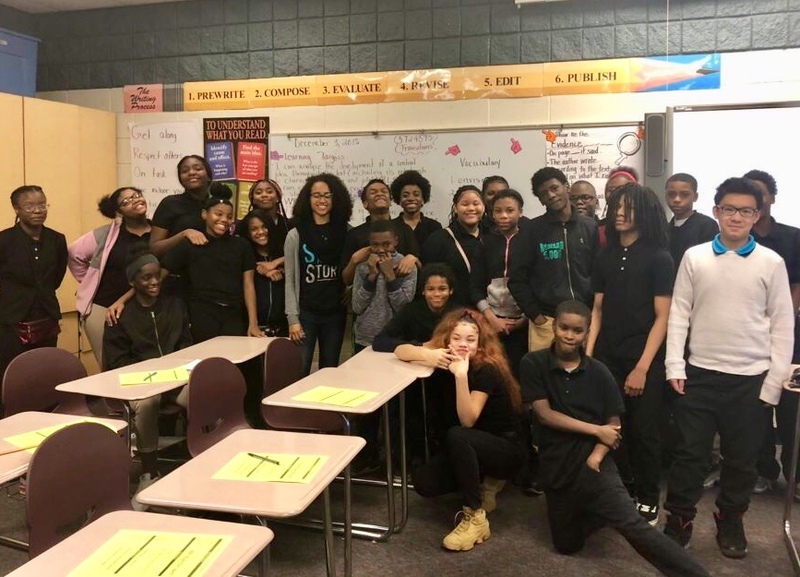 As ‘ready for the world’ adults, Teen HYPE’s Alumni are truly the next generation of Detroit leaders! Since 2014, we have graduated 600 young people from our Peer Education program. All of these alumni have graduated from high school and most have gone on to college and/or employment. Our team diligently hones relationships post-graduation to ensure safe passage into adulthood. In their college years, minority and first generation college students are at a higher risk of not graduating. We aim to send college starter and holiday care packages to convey our long distance support. Some alumni groups that forged indelible bonds through the Annual Theatrical Production remain in touch through social media and occasional events. Many continue to give back to Teen HYPE as monthly donors. Moreover, our alumni provide motivational talks to our in-school and current Peer Education meetings - representing striking examples of the difference that focus, self-regard, risk avoidance have made in ushering them toward rewarding careers and family relationships. Pictured here: Teen HYPE alumna Mia at our 2018 Mis-Taken Art Show.